I don’t think there’s a lot that business school can teach start-up founders. But, there is one particular lesson I think is valuable: managing culture and conflict. Here’s what I mean. 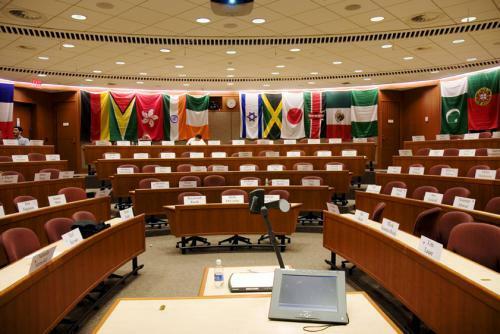 When I arrived at Harvard Business School, my classmates and I were automatically assigned to one of nine “Sections” (I was in Section F). There were about 90 students in each group. Each Section met daily, all day, with breaks in between, in the same windowless classroom assigned to it. The Section became my community in my first year. The professors rotated from classroom to classroom, and the students stayed put. So, I basically lived in the classroom during the day. My Section-mates were my roommates. As far as I know, people were assigned randomly to each Section. In fact, the school tried to “even out” each Section, so that each group had the same number of bankers, techies, international students, married students, etc. Incredibly, in spite of identical starting-points, each Section developed its own culture. In my year, one Section fought a great deal (in fact, they were called the “Dysfunctional Section”). Another group (Section G) was incredibly collegial and partied like rock stars. Others were in between. What also is incredible is this: the cultures continue to this day. For example, the “Dysfunctional Section” usually has the lowest attendance rates at our reunions (I was co-chair of my HBS reunions, and so, I have the data). Weird. So, how does this happen? How did nine Sections all start off “the same” but ended up with different cultures? IMO, it is all due to how a Section managed culture and conflict. Conflict in a windowless room filled with 90 competitive people inevitably occurred. I remember in one Section that one student called another student’s comments “one of the stupidest things I’ve ever heard” during a class discussion, all this in front of 88 peers. What I observed is this: the Sections that managed conflict well developed collegial cultures. The others? Eventually, those Sections became more and more tense. In one Section, there was a sad downward spiral as resentments created more resentments. They went nuclear, eventually. The conflict created a negative culture. Why is all this relevant for start-ups? First, I think founders need a game plan for conflict, and have it “ready to go” at any time. Conflict by its nature is surprising, emotional and personal (particularly, if it involves you!). Now, there is such a thing as “healthy” conflict, a rigorous debate that leads to a better answer. But, I’d encourage founders to be very sensitive to gossip, back-stabbing, and office politics. When you see it, stamp it out. If you catch yourself doing it, stop. Second, a founder must be conscious of, and then drive, behavioral norms in the company. A founder sets the tone. Everyone else watches closely how he/she acts, and, subconsciously, will mimic the behavior. I think a great example of a culture-attuned founder is Andy Palmer, with whom I’ve had the privilege of working on a few companies. When he co-founded Vertica, he was extremely careful as to whom he recruited to the company. In fact, he often brought people in as consultants initially, to test fit. Also, when style conflicts occurred among the founding team, he hired a mediator to work through the challenges. Andy set a culture and he managed conflict. Vertica had a great exit last year to Hewlett-Packard. For entrepreneurs, there is no “one way” to develop a culture. Different approaches can work, but most important, you have to manage culture proactively. A culture will develop. You should own it and drive it. I like your post. I worked at the IMF for about 15 years and it was great to see how everybody got along in my Division and in the entire organization in general. Serving 187 member countries is certainly a great learning experience. I believe it is essential to have respect for other people’s ideas in order to have successful personal and business relationships.